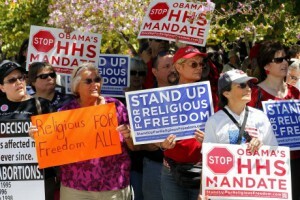 The Supreme Court heard oral arguments about Obamacare’s contraceptive mandate. 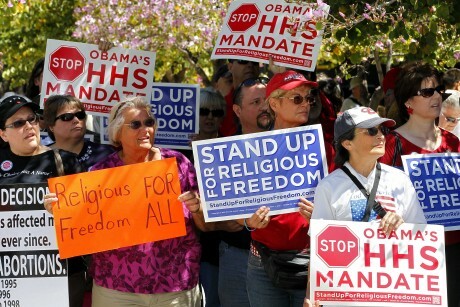 The case involves a corporation, Hobby Lobby, demanding an exemption from Obamacare’s contraceptive mandate. The mandate requires that corporations with over 50 employees cover birth control expenses for its employees. Hobby Lobby believes it has a right to an exemption from the healthcare law because its sole shareholders have a religious belief that birth control is sinful. I cannot understate the importance of this case. Depending on how the Court rules, this case could give corporations a right to free exercise of religion. This would completely change corporate law as we know it. Hobby Lobby could also represent the biggest religious exemption that the government has ever given. If Obamacare don’t apply to people because of their religious beliefs, what other laws could corporations ignore in the name of religion? Chief Justice Roberts suggested that the case could be limited to corporations with closely held shareholders. This could be a reasonable solution because giving every corporation a right to religion would be chaos. In publicly traded corporations, there will be shareholders with different religious beliefs. Figuring out whose religion is more important is not a game that judges should be playing. Chief Justice Robert’s proposal has a serious flaw though. Dominant shareholders cannot impose their views on minority shareholders. Given that, how can shareholders force their views on employees? Shareholders own the corporation, but they do not own the employees. Shareholders might have constitutional protection because Obamacare is a federal law. Employees do not have the same protection because their employer’s religious views are not law. Even if we could create a system where corporations could have a right to religion, the consequences would be significant. Obamacare’s contraceptive mandate is controversial, but there are other laws, too. These other laws aren’t as debated, but religious groups still have objections. Imagine if a Jehovah’s Witness could deny their employees a life-saving blood transfusion because of a religious conviction. The employer might be saved from hell, but the employee would have an enormous medical bill. Justice Alito asked whether a corporate exercise of religious rights would cause the corporation to depart from their core purposes. The corporation is considered a separate entity from the shareholders, thereby protecting the shareholders from any liability. If an employee hits a pedestrian while making a delivery, the shareholders are protected from any lawsuits. The fundamental problem with allowing corporations to exercise their shareholder’s religious rights is that the shareholders would be abusing the corporate shield. If shareholders want to be protected from Obamacare, shareholders claim the corporation speaks for them. When an employee assaults a customer though, the shareholders claim that the corporation is a different legal person. Corporate responsibility would be a thing of the past. Corporate religious rights would give shareholders all the benefits of incorporation without any of the drawbacks. Your Honor, it’s moral hypocrisy to preach God’s law while hiding behind Man’s law.